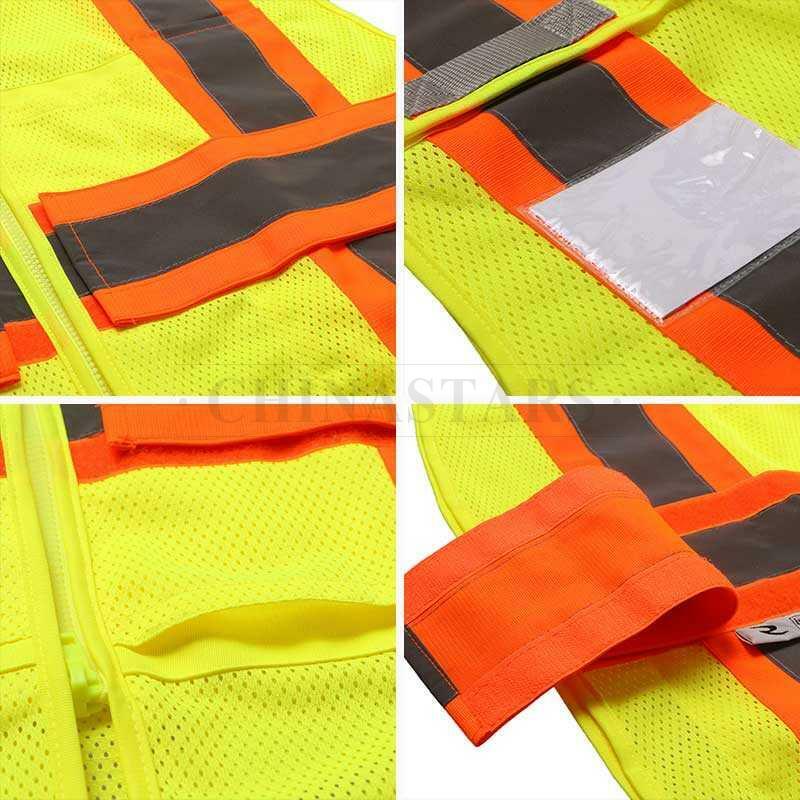 CSV-121 safety vest designed with 4 point breakaway, hook and loop straps allows easy adjustment for a custom fit. 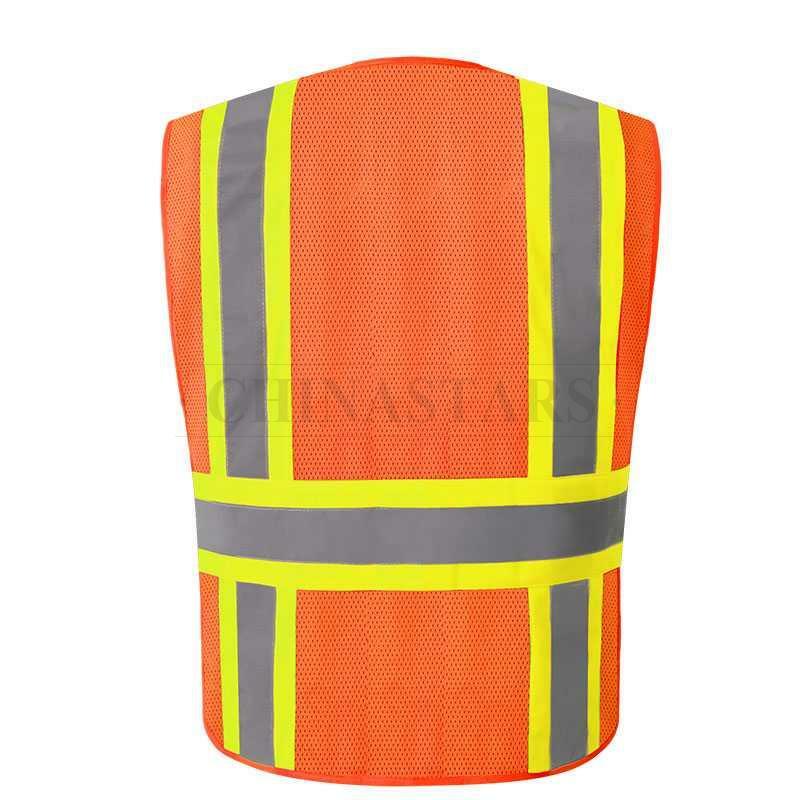 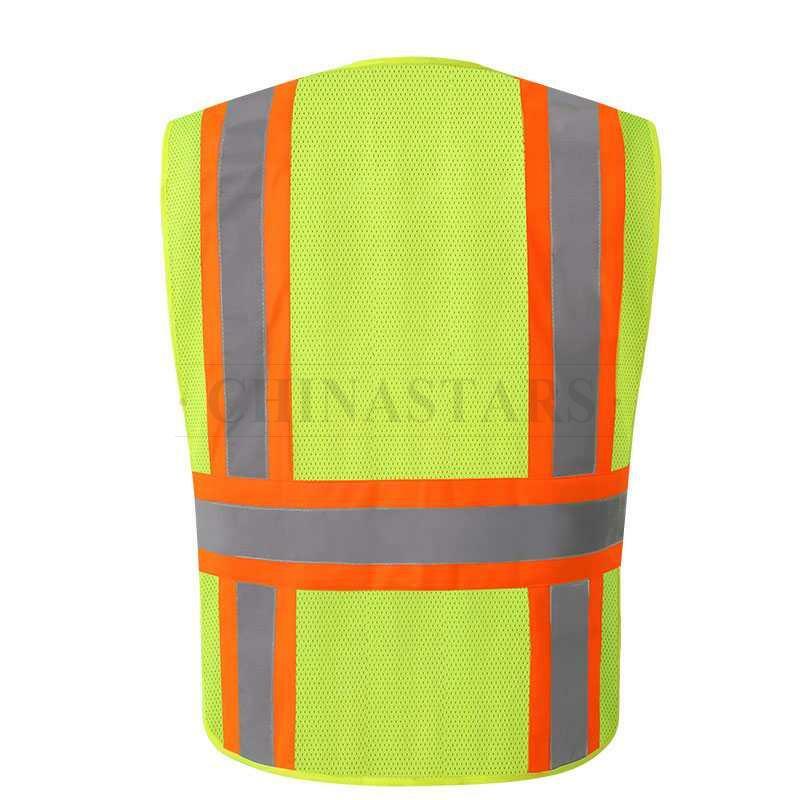 Reflective stripes and fluorescent color provide maximum visibility. 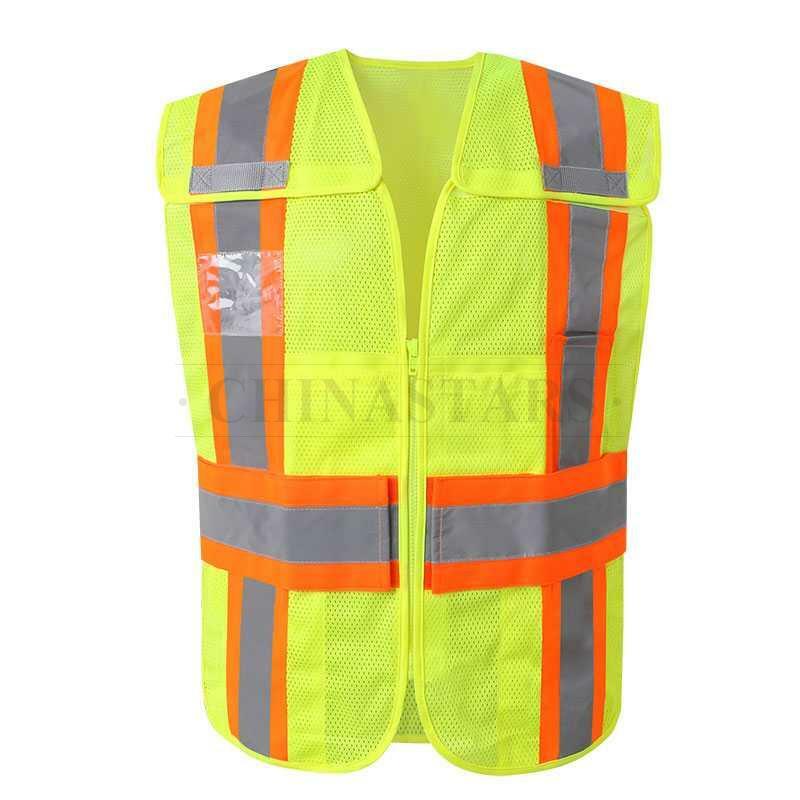 360° visibility to guarantee the safety for workers during day and night. 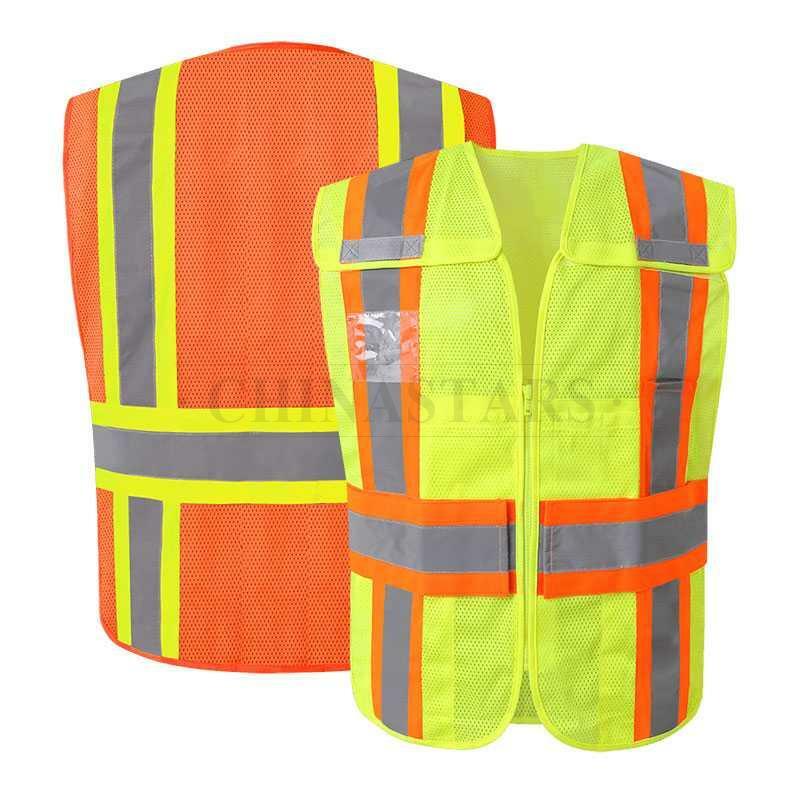 The safety vest comes with 4 out pockets and 2 inside pockets for convenient storage. 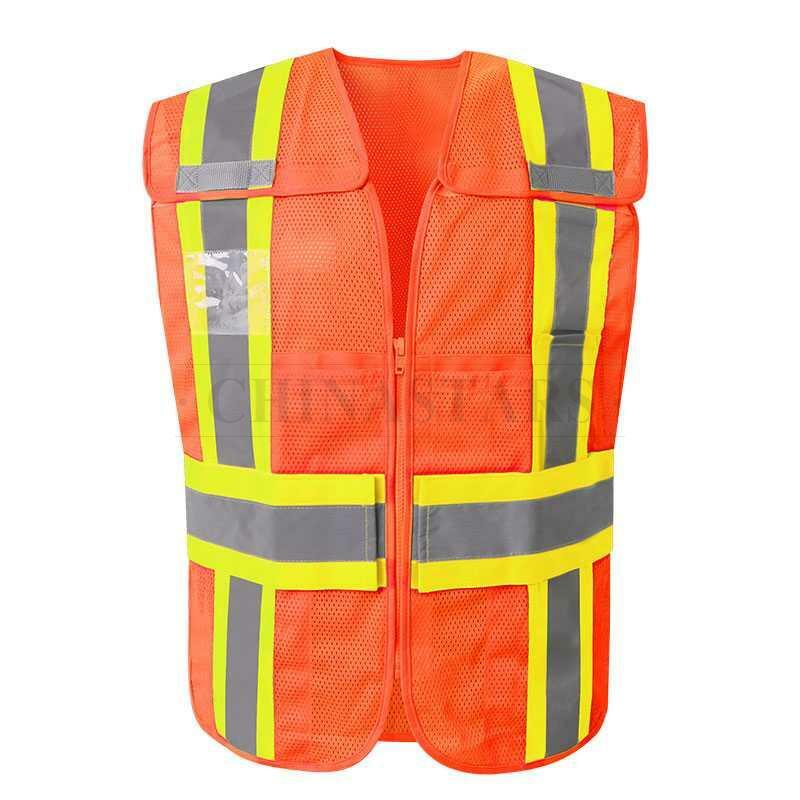 ANSI107 Class 2 certified for safety and reliability.